Austin Butler, Ivana Baquero, Manu Bennett et al. DVD: 406 min., Blu-ray: 423 min. A year after the events of last season, The Four Lands is in chaos. The re-emergence of magic has the populace terrified, and an organization called The Crimson is hunting down magic users, using fear and intimidation to sow discord among the races. Wil, scarred by the loss of Amberle and his separation from Eretria, has turned his back on his magical destiny to become a healer. But when a mysterious woman named Mareth saves Wil from a Crimson attack, he is forced to rejoin the fight. 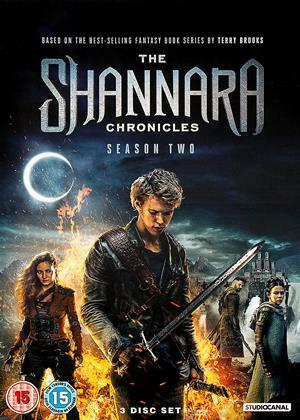 After reuniting with Eretria, Wil and Mareth seek out Allanon, only to learn that the Druid's former protégé, Bandon, is on a mission to resurrect a creature of darkest evil: The Warlock Lord. Together, our heroes must band together to take down The Crimson and prevent Bandon from unleashing an even greater threat upon the Four Lands, before it's too late.